Long before it was known as a premium sports car manufacturer, Porsche had once produced military-styled cars. As quoted of Splash, the military model car was named Porsche 597 Jagdwagen. 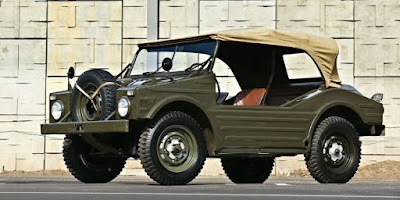 The Jagdwagen was, literally, the car of hunters. These Porsche military-version car looks to have a simple form and it adds to the track record of Porsche from the past and was specifically built for German soldiers in the early 1950s. These Porsche 597 Jagdwagen was produced by using a monocoque body concept and switchable all-wheel drive system. This car is designed for all types of terrain, both land and water and is intended to have high load capacity as determined by the military. 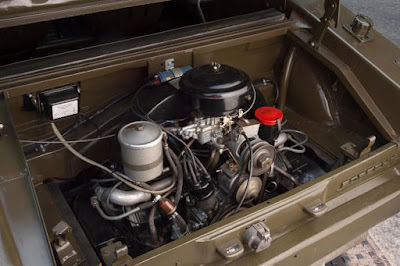 For its drivetrains, this car uses a modified flat-four engine that can be found on the Porsche 356 model at that time. This machine sends the power to the rear wheels through a 4-speed manual gearbox. 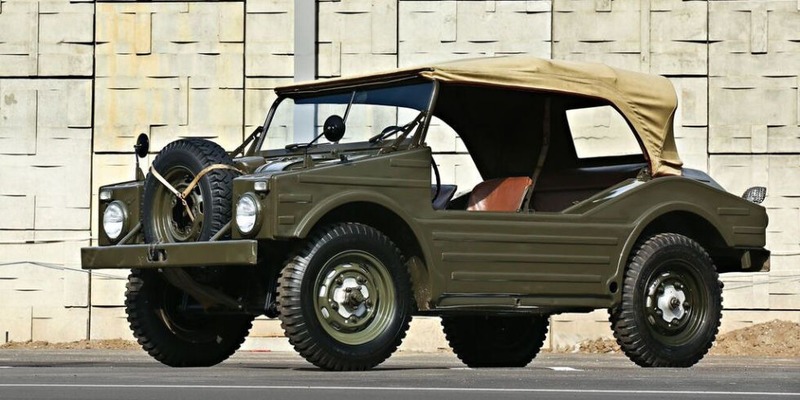 And by using a replaceable front wheel drive, the Porsche 597 Jagdwagen has the distinction of being the first all-wheel drive vehicle of Porsche. This car weighs around 870 kg, and can reach a top speed of 100 km/h with a power of 50 PS. While the off-road capability is able to climb with a slope angle of up to 65% by using 1,000 rpm engine rotation. 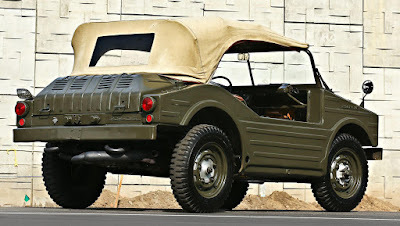 So to cross the river is not a problem for the Porsche 597 Jagdwagen, because its body can float on the water thanks to the monocoque body it has. In between 1955 and 1958, Porsche were built 71 units of the Porsche 597 Jagdwagen, 49 of which were intended for the public civil.